Zoda Wire Stripper comes with (8) interchangeable wire guides. The wire guides are engineered to provide efficient and precise wire stripping without putting your hands or other body parts in harm's way. The Zoda Wire Stripper can strip standard and solid wire, gauges 16 - 6. Plus: 10, 12 and 14 gauge Romex. 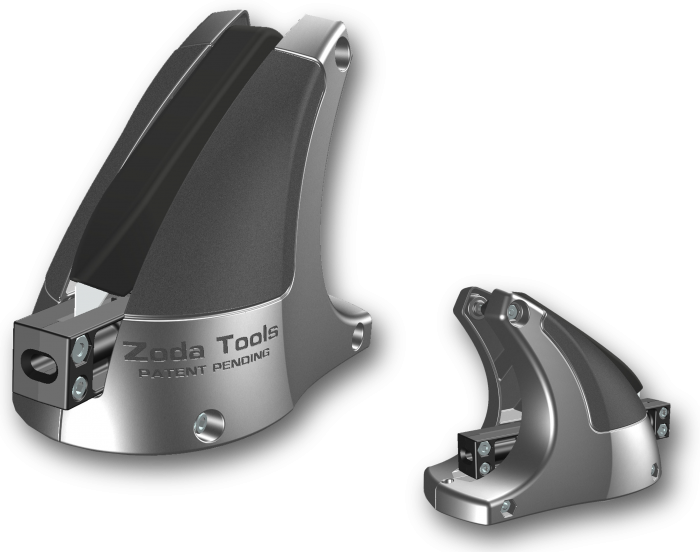 The cutting blade for the Zoda Wire Stripper is a standard utility knife. In order to keep cost down, utility knife is not included.